Most of you probably already know what a reaphook looks like, or at least one of the other reaping blades out there. 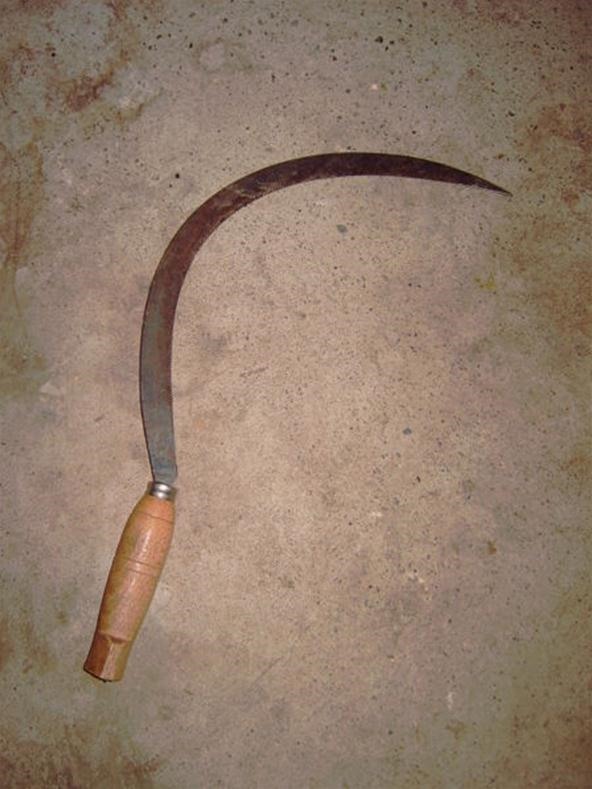 A reaphook is basically a hand sickle with a large hooked-shaped blade and a short, sometimes offset handle for cutting and harvesting crops and grass. In some parts of the world, a reaphook is called a badging hook, bagging hook, fagging hook or rip hook, and is most commonly separated as "reap hook." While reaphooks are still in use today, most have transitioned to large scythes with long wooden shafts, which in turn was replaced by animals and then tractor-drawn machinery. 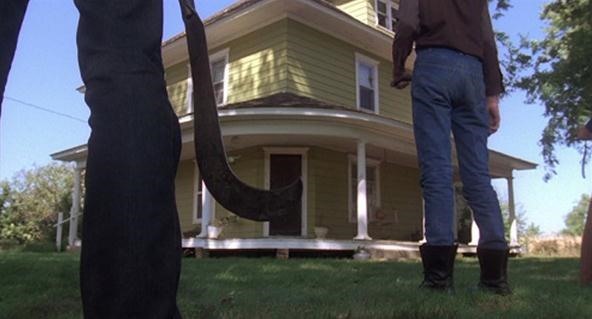 Death (aka Grim Reaper) is commonly depicted holding a large scythe, and it could also be seen in the Children of the Corn film series, along with smaller reaphooks and curved sickles. Interesting fact: Hollywood starlet Naomi Watts played the lead in Children of the Corn IV. A scene from the original Children of the Corn with somebody holding a reaphook (or sickle). Covers from the Children of the Corn series, all depicting some type of sickle. 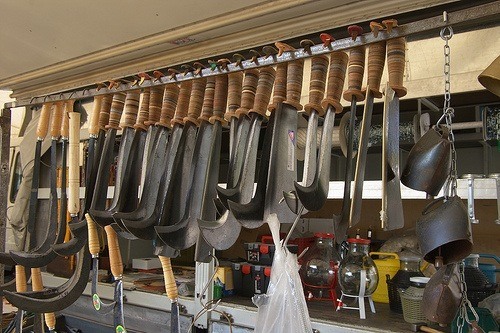 Various sickles, including reaphooks, line an Italian market.